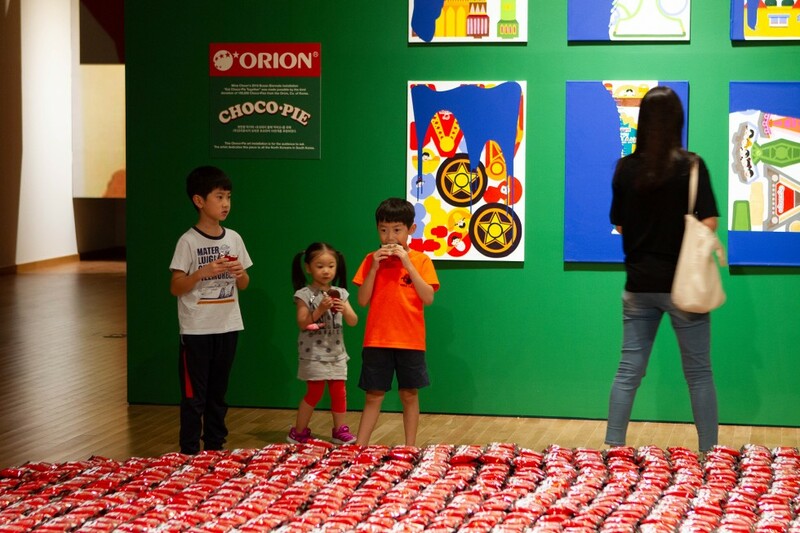 This past September, Korean President Moon Jae-in and the First Lady Kim Jung-sook came to “Eat Choco-Pie Together,” an installation presented by MICA faculty member Mina Cheon at the 2018 Busan Biennale. 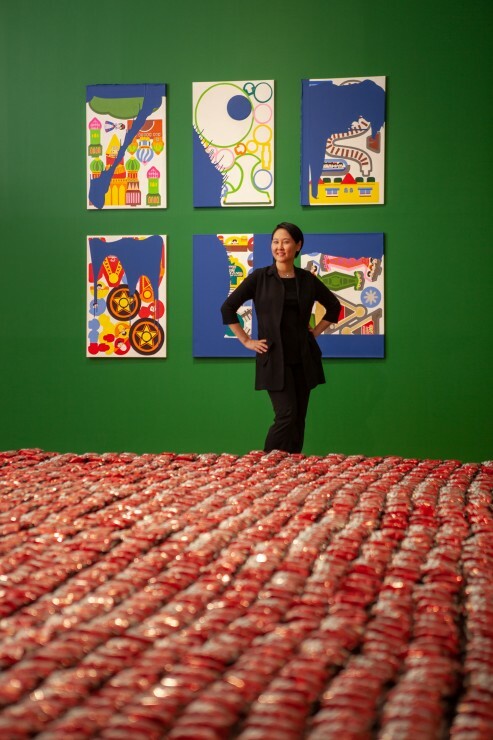 Known for her political pop art, Cheon’s installation was made up of 100,000 Choco-Pies, one of the country’s most popular snack items and a popular smuggled food in North Korea. Audience members were invited to take and eat some of the pies, which were arranged in a circular shape at the Museum of Contemporary Art (MOCA) Busan. 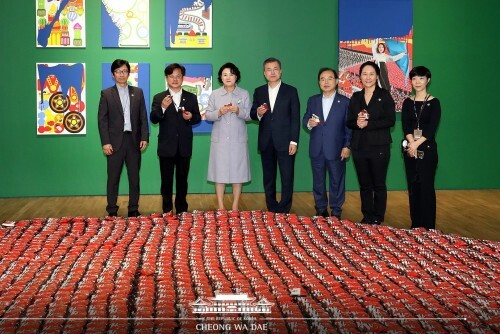 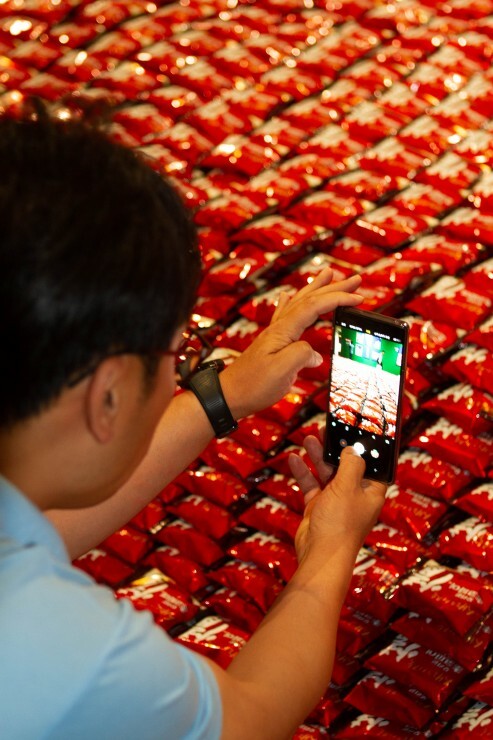 Covered by major media in Korea, the interactive element to Cheon’s installation was shared widely by Korean social media users, helping to draw visitors to museum. 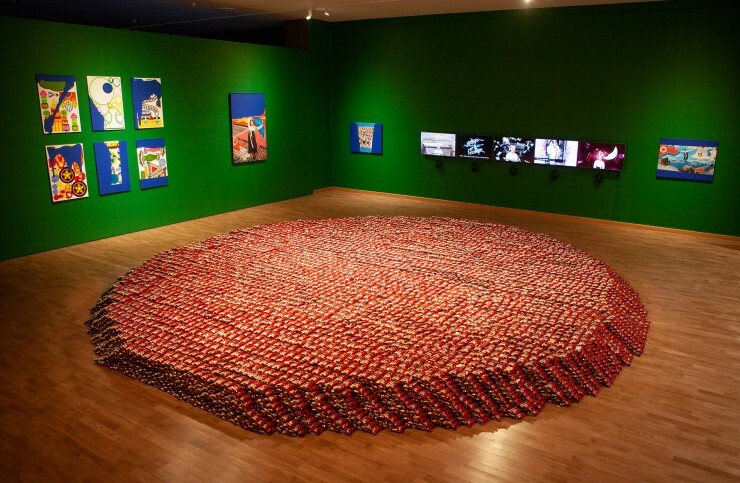 The Biennale, whose theme this year is “Divided We Stand” on the split territories, runs through November 11.